When you’re just starting out, sometimes what you need most is just a little water and light. If you want to know more about the differences in the application processes and application timeline, plus advice on creating an application strategy and adopting a successful applicant mindset, my ebook How to Apply for the MEXT Scholarship has in-depth discussions and further advice! When I started writing my MEXT scholarship guides on TranSenz, my focus was on helping applicants who were already partway into the application maximize their chances. But recently, I have gotten a significant number of very basic questions about how to even get started. I’ve addressed all of the questions I’ve received so far in a recent article on How to Get Started Applying for the MEXT Scholarship and in this FAQ, but if you think I’ve missed anything, please add your questions in the comments! 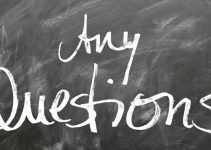 Note: This FAQ covers the graduate level scholarship, only. I will write a separate FAQ later about the undergraduate application. If you’re at this stage of the application, you have a lot of preparation to go. The MEXT scholarship is not something you can simply make a half-hearted pass at and hope to to win. These basics will get you started, but you’ll get a lot farther by reading the in-depth guides I share in the “MEXT Scholarship” link in the header and on my mailing list. Once TranSenz reaches $50 in monthly support, I will start a monthly live video Q&A. 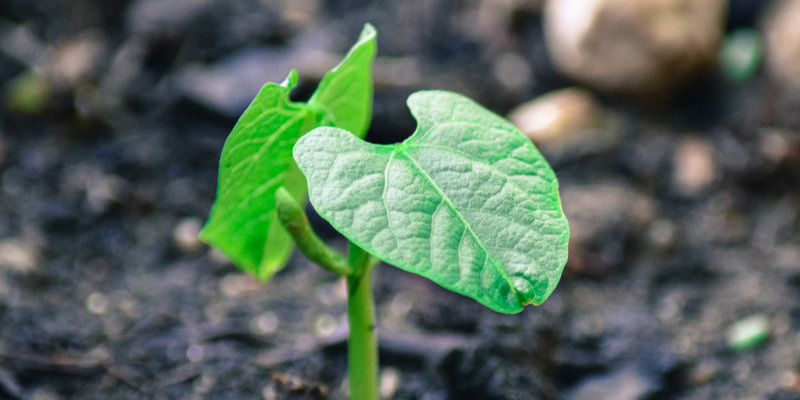 If you are interested in supporting this effort, or simply getting faster responses to your questions and access to articles ahead of everyone else, you can become a patron of TranSenz for as little as $2 per month! How Can I Apply for the MEXT Scholarship? There are two ways to apply for the Graduate Level scholarship: The Embassy-recommended MEXT Scholarship Application and the University-recommended MEXT Scholarship Application. You should choose one then contact either the Japanese Embassy/Consulate in your country or the university you want to apply to, depending on the system you choose. I have more information on the difference between the types in my article on MEXT Scholarship Application Basics. What do I do if there is no Japanese Embassy in my country? Refer to the official list of Japanese Embassies and consulates. You should find an entry for your country, even if there is no physical embassy there. That should tell you how to get in touch with the official Japanese representative for your country. (It may be located in a neighboring country). Do I have to apply to the embassy first, the university first, or both at once? If you are applying for the Embassy-recommended MEXT scholarship, you apply to the Embassy first and once you pass the Primary Screening, to apply to universities for Letters of Acceptance. However, you should also initiate contact with your target universities well in advance to start building a relationship, even though you won’t start any official application paperwork until later. If you apply for the University-recommended MEXT scholarship, then the embassy isn’t involved at all, except for your visa paperwork, of course. Which universities can I apply to under the MEXT scholarship? All Japanese universities are eligible to host MEXT scholars. How many places are available for the MEXT scholarship? This question isn’t really going to help you do anything other than stress yourself out unnecessarily. Pretend like there is only one and you have to do everything possible to get it. You could look up old news articles to see how many MEXT scholars were selected from your country during the previous year (embassy-recommended MEXT scholarship), though there is no guarantee that will give you the complete picture. For the university-recommended scholarship, you can calculate the likely number of slots for the university, though the formula changes every year and isn’t announced usually until after the application deadline. What you should do instead is spend that time making your Field of Study and Research Program Plan stronger, or trying to build a relationship with your target professor. What are the chances of winning the MEXT Scholarship? It all depends on how hard you work at the application and how you do relative to the competition, which is every other applicant. You have to be one of the very top applicants in order to get through. Where can I get the MEXT Scholarship Application Form? Get it from the Embassy or University where you plan to submit your application (get the other documents from them, too!). Where can I find the application instructions? You will find them on the website of the Embassy or University where you plan to submit your application. Please note, however, that they may only be available during the application period, but you need to start preparing much earlier than that. Try to find the previous year’s guidelines on those websites to get started – they don’t change much from year to year. If you can’t find old instructions on the Embassy website in your country or the university you want to apply for, try other Embassies and universities. Remember: Google is your friend! Seach for MEXT Scholarship Application Guidelines, or similar terms. What else do I need to submit besides the application form? Please refer to the application guidelines from the embassy or university where you will apply. The requirements may differ for each. There is none. If anyone is charging you a fee, be wary of a scam. (Note: I charge a fee for application reviews, but that is not related to the application process itself, it is a coaching service to help improve your chances). It varies. Each Embassy (for the Embassy-recommended MEXT Scholarship Application) and University (for the University-recommended MEXT Scholarship Application) sets its own application period and deadline. For the Embassies, application information is typically available around April and the deadlines are around late May or early June. (Note: your scholarship would not start until April or October of the following year). For universities, application information usually becomes available between August and October with applications due any time between September and early December. Be sure to constantly check the website of the embassy or university where you want to apply for updates and announcements! How/where do I submit the application? Please refer to the instructions from the embassy or university where you will apply. Can you check my application for me? Yes, but I charge a fee for application reviews. If you are interested, you can apply for application reviews or coaching services by completing the form at: http://www.transenzjapan.com/coaching-application/. I want to study [insert field] in Japan. What should I do? You need to find at least one university in Japan that offers a degree in your field (taught in English) and determine if they have a professor that can supervise your research. Then you need to apply the same way as anyone else! It is mandatory to know Japanese before arriving? It depends on your field of study. If you can find a university that offers the degree you want in English, then no, Japanese language ability is not required. Of course, it is helpful to have some Japanese language ability before you come live here, and having language ability will make you stand out more as having serious interest in Japan. Two years for a master’s degree and three years for a PhD. What happens if I missed the deadline? Is there another chance? If you missed the embassy deadline, you should have enough time to apply for the University-recommended scholarship for the same year. Otherwise, you have no choice but to wait a year and try again. Are there other full scholarships to study in Japan if I don’t get the MEXT scholarship? There may be, in some specific cases, based on your nationality and field of study, but I do not have any information about them. I have written a separate article on How to Get Started Applying for the MEXT Scholarship, so I recommend you read through that, as well, for a more linear explanation of the process. 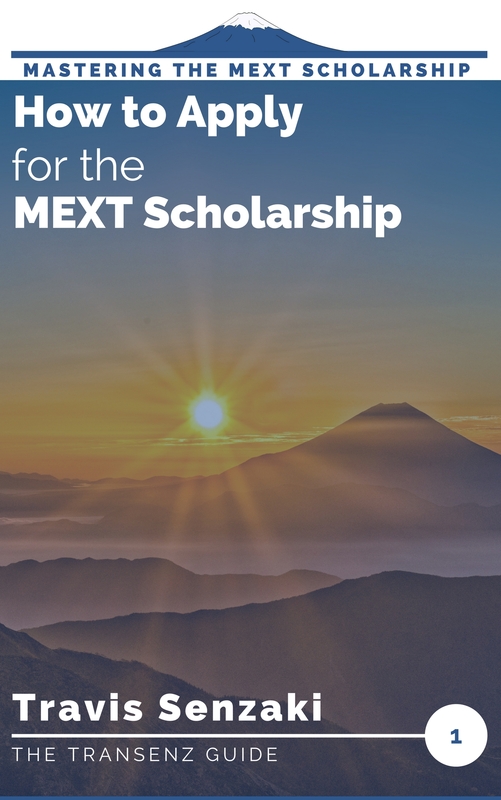 My new ebook, How to Apply for the MEXT Scholarship describes the scholarship in detail, including the purpose and coverage, the eligibility criteria, how to develop a successful applicant mindset, and how to craft your application strategy for the greatest chance of success! The questions above represent the common themes from scores of emails I received over the summer. I’m sure there will be more in the future, so I will update this page again when I catch up on the other FAQs and have enough new questions to circle back. If you have any questions about this article, please add them in the comments below! I will update this page with more questions and answers as soon as I can! If i’m contacting a specific Graduate school where i want to study for loa what if there are no proffesors in that faculty who understand english, do i need to ask for loa elsewhere? i forgot i also have one other question as i have stated before i’m applying for the research program. With the research program i mean the masters and doctor programs. With this schollarship my goal is to obtain a masters degree but before enrolling into the masters you need to go to language school (if needed), take entrance exams and do a research in japan. 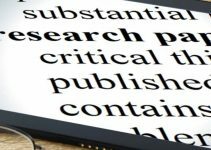 What do they mean with research? Do i need to write a thesis during that one year or something else ? Being a “research student” before starting your Master’s degree program is just a “pre-graduate student” status. You would not be expected to complete a separate thesis during that time. As a research student, you would start taking some coursework (that you could later “transfer” to your degree), start working on your Master’s degree research under the supervision of your adviser, and study for/take the entrance exam to become a formal graduate student. The $2000 is because you would need to pay for accommodation and all of your living expenses for the first month. That would include the up-front costs of starting a rental contract for an apartment in some cases. The reason you need to have that money with you is because it takes a while to get your paperwork processed and get your bank account set up so that you can receive your first scholarship payment, so you need to cover your expenses until that arrives. You will get a scholarship stipend payment for that time, it will just be late. So, if you need to, you can borrow the money from someone and be confident that you will have it later once your scholarship starts paying. For the LoA – if you are not fluent in Japanese, you would have to apply to a program that is taught in English and your adivser would have to be able to speak English to accept you, as well. If you are struggling to find programs taught in English, then I have an article about how to find professors and universities in Japan that may help. I intend to apply for the research MEXT Scholarship through the university recommendation , but it seems that Japanese universities only recommend international students coming from their overseas partner institutes. Maybe I have get something wrong and the exchange agreement is just priority and the scholarship is based on merits. 1. Am I eligible to apply for research MEXT Scholarship via university recommendation as an Iranian applicant? 2. Is it necessary that my domestic university has an exchange agreement/ collaboration with Japanese Universities and if so, do they have an exchange agreement with “Allameh Tabataba’i University” in Iran? I am just worried that I miss the deadline so maybe that is why I become too hasty. Regarding the embassy recommendation MEXT scholarship, I cannot apply this year because the application period has been over (It is on early May in my country every year). Therefore, the university recommendation track is the only way for me now. So it would be appreciated to help me and send more information. I am working on the finishing touches of an article about how to prepare for the University Recommended MEXT scholarship that I think will help you answer your questions. If you are signed up to my mailing list, I will email you as soon as it is ready. It will be ready soon, but I am afraid that in the meantime, I have to ask for your patience. Does the 35 year age apply only to the initial MEXT acceptance or does it also affect extending from a research student into a masters program? For example: If someone turns 35 after the date (after April 1st as of the year of application), gets accepted, and starts their research year at the university, will being over 35 when it comes time to extend be an issue? For the extension application process, there is no age eligibility requirement. So, if you turn 35 after arrival in Japan, you can still apply to extend from research to a Master’s degree or even from a Master’s to Doctoral program. I have applied for the MEXT undergraduate scholarship now and I am waiting for their response can you tell me how long does it take for their screening and when will my tests take place? It is different for every country and embassy, so I’m afraid I don’t know what it would be for your case. I would suggest that you double-check the application guidelines at the embassy or consulate where you applied. They may show the specific timeline and notification dates/method. Hi Travis, I would like to ask about age of applicants. Now I am 34 and I have obligation to work for my workplace more 2 years because of JDS Program requirement. Is it possible to apply for MEXT scholarship after 35 in my case. No, unfortunately, that would not be possible. There are only a few exceptions to the age eligibility requirement and that is not one of them. How we can get the application status that whether they accepted or not? I recommend that you check the website of the embassy, consulate, or university where you applied. In the application guidelines on that site, there should be information about how and when the results of the application will be announced! It can vary by location, so I’m afraid there is no one-size-fits-all answer. The Embassy will contact you to let you know if you have passed each stage. Be sure to check the email address you provided to them on a daily basis! I’ve read through all of your posts and they were very helpful. However, I didn’t find many resources for the undergraduate scholarships, therefore, I’m typing this comment. I have two questions. 1- This year they have increased the age limit for the undergraduate scholarships so I can apply once again. I’m 22, am I at a disadvantage when it comes to getting accepted due to barely meeting the age requirement? 2- In the application form, there is a section that asks for the name of the university if the applicant is enrolled in one. Again, is it a plus for a person to be enrolled in a university or not? Any help would be appreciated. Thanks. I do not have any expertise in the undergraduate scholarship, so I have not created any resources for that. As far as I know, there is nothing in the official process that would make it an advantage or disadvantage to be older or to be currently enrolled in a university. So, it’s all about perception and how you present it. If you can explain why being older or having some university experience makes you a better candidate, then you need to do that to gain an advantage! You will also need to explain what you plan to do about your current university program. Thanks for the reply. If I may ask, how can I explain that it would make me a better candidate, in the remarks section of the form, the interview, or something else? The interview is the best opportunity, but anywhere that you can bring up the activities you have participated in since completing high school and how they help prepare you for your studies in Japan is a chance, too. Thank you again for your help without you it will be really hard to complete this process. I would like to ask you one question and If you can answer me I really appreciate. According to my embassy’s application form, I should provide language tests results If I have. For TOEFL etc. I have no problem I have one eligible result ( taken 1 year ago,). My question is about JPLT. I have taken the exam 3 times starting from N5 to N3. I have passed the N5 and N4 but during postage of the results my N4 result got lost and asking for the second copy was expensive at the time I didn’t ask for it. For N3 I failed it, I got 61 from the exam. The question is providing JPLT results important if yes what should I do? To be honest I don’t want to provide N3 result fearing that it will affect screening. My second question is I will be applying for Comparative Literature and graduated from French Linguistic. Should I provide french language exam results ( it’s b1 level) even though lessons for the graduate I am applying will be given in english and japanese? The language proficiency test scores are not required for the Embassy Recommendation MEXT scholarship application, they just say to attach them if you have them. For the TOEFL you can submit a copy of the form you have. For the JLPT, you can just write a note explaining that you lost the score report. (I don’t remember if you can look up past scores online, but if you can, then a printout of the website showing your name and score is fine). Attaching your other language proficiency test scores can’t hurt. If the course you are applying for is taught in English, then your Japanese language proficiency scores should not affect your screening in a negative way. Thank you for your answer. I am so relieved, the embassy explanation confused me because it says Toelf, IELTS and other languages tests. So I can just write the mark that I had got and if the result paper needed I will explain it accordingly. By the way, a JPLT examinee cannot see the result online except the designated dates which is bad for some of us. Thank you for letting me know about the JLPT scores. That’s unfortunate. It has been several years since I last took it, and I was hoping they had caught up with more modern practices in the meantime! I am having one question . I applied for MEXT 2018 university recommendation. Today I got yes from the university. Now they are sending the documents to MEXT office for final round. I wanted to know whether , the chances of getting the scholarship has increased or still their is uncertainty is their. Research paper :- 2 research papers of international standards during Master course. Once the university submits your nomination to MEXT, it is no longer a competitive evaluation. Your scholarship is all-but guaranteed. The university knows how many awards it can receive and would not nominate more than that number. MEXT is only going to double-check to make sure the university did it’s evaluation right, that there are no legal problems with your coming to Japan (e.g. if you have been deported in the past, etc. 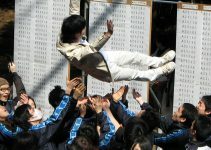 ), and confirm the number of awards once its annual budget is confirmed. You should have nothing to worry about! Thanks for the message. I contacted the Office of International affairs of University which has recommended for the MEXT University recommendation. They said that they donot know how the MEXT will judge the application and final judge is MEXT . The result is likely to annouce by end of June so , you have to keep patience. Yes, that is the only response the university will ever give you while they are waiting on MEXT’s final confirmation. Still, I have never seen anyone get rejected at this stage! Thanks for the response. I just wanted to know that if in case a university has number of international students between 100-200. How many students it can recommend for Mext university recommendation. For the 2018 University Recommendation cycle, the base number of slots for a university with 101-200 international graduate students was 2, plus 2 additional slots if the university is willing to pay for those students’ travel expenses. Note that only graduate students count. This number could also be modified, so it is only a base. Universities can gain or lost slots if they had a significant increase or decrease in enrolled graduate students over the previous year. It also does not factor in potential PGP programs or domestic selection slots if the university is a Top Global University project participant. I have one question regarding recommendation letter . I am applying for Mext university recommendation . Question to you is : I have submitted a recommendation letter from the head of the department of my home university. Since in the university dean faculty doesn’t sign such letter nor the president of home university. They are saying that letter of recommendation could be only from the supervisor only. Do you thing is it a issue ? I think the condition of recommendation letter is very weird. I donot know what MEXT scholarship wanted to know . If the president or Dean faculty doesnot know your research potential why they will sign a letter for you ? This condition of MEXT is far beyond my understanding. My past university clearly said no that dean faculty will not sign it nor any higher authority only the professor or department head could sign it. I explained the Letter of Recommendation system in more detail in this article. That might help you understand the logic behind it and a possible way to acquire one. Yes, I do think that is an issue. The MEXT requirements are clear on the letter for the University-recommendation and there is no flexibility. One thing you might consider is having the Dean or President countersign the letter by your department head. If they sign their name below the department head’s (and include their title/signature block), that should be good enough. Thanks for the answering. I have asked my home university’s Dean again for the recommendation letter. However, when I contacted my host university supervisor in Japan he said recommendation letter works. The letter of the recommendation is from the Head of the department as I stated in my above message. I don’t know to what extent it works since, the letter is not from the dean of the school. It is simply from the department head. Do you think if the host university is saying that letter works , it will be fine enough to remain competition ? In general, I think it’s smart to follow the instructions from the university you are applying to. Even if they are giving you the wrong information by mistake, they will have to acknowledge that and give you time to correct it later. 2) The letter might be good enough for now and they will only ask you to get a higher level one if you are one of their final selected nominees. (1) Recommendation letter says that the home university’s Engineering department rank number one in Europe .It’s engineering department rank 8th in the world. (2) Recommendation letter also highlights some of my academic achievement like:- Managed to publish two research paper , got 100% score in his master thesis and project was nominated as best project of the year in the department. I guess following above mentioned points managed the letter to works. I don’t know what exactly going in the host university’s mind. I am trying to get a recommendation letter from the dean, so far, no success . Seems that home university is rigid on the point that only head of department or professor is only person for recommendation. Any future update I will let you know. Another possibility that occurred to me is that the “Dean” requirement is based on Japanese university organization. A Dean is the head of a faculty (e.g. Engineering). If the head of the entire field of Engineering at your university is called a “Department Head” but the responsibilities are equivalent to a Japanese Dean, that might meet the requirements, as well. I don’t know if that’s the case for you, but it might be for someone else reading here. Thank you for your swift response, it is well appreciated. I am a bachelor’s degree holder in chemical engineering with cgpa of 4.44/5. I currently hold a master certificate in industrial engineering with distinction. I have not really explore the discipline satisfactory and also feel it might boost my chances of securing the mext scholarship, that’s why am applying for master course again. My undergraduate research topics are: Recovery of Silver from spent photographic solution via Chemical precipitation process (unpublished) ; A theoretical design of Methyl Ester Sulphonate from crude palm oil, an environmental benign surfactant which serves as replacement for linear alkyl benzene sulphonate (unpublished); Improving the Viscosity Index of Used Lubricating Oil by Solvent Extraction (published). My master thesis is process optimization and evaluation of resources of package water factory in Nigeria. My prospective supervisor field is bio materials engineering particularly tissue engineering for medical applications. Kindly help me find a way to link them together, waiting for your response. My degrees are in Japan studies. I do not have anywhere near the requisite understanding of your field of studies to be able to help with your research question. I would recommend that you ask your current academic advisor or another professor you are close with, in your field of studies, for help! I had found another professor which I think my previous research study seem similar to his own own (Chemical System engineering). Going by my precious msila, How can i connect my precious research Study with his own? I’m sorry I have not made this clear enough in past comments, but I do not have any academic expertise in your field. You need to connect the fields based on your own research into them and consultation with an academic in the right fields, such as your current advisor. A certificate from your university attesting to the fact that your education was in English is most likely not going to be enough. I covered the reasons why in my article about supporting documents. An official test is the best solution. If it is physically impossible to take one, then I would recommend that you contact your prospective advisor or the appropriate office at Kyushu University to ask what alternatives they might accept (if any). The Letter of Recommendation from your Dean is the primary requirement. You would also need to submit one from your employer if you are working full time, but otherwise just the one letter should be fine. If your university is demanding a second letter even if you’re not employed, that might be a local requirement, so I would recommend following up with them. I’ve got one but it’s for research student and what I needed was an Undergraduate Scholarship Sample form. I know you can’t fulfill everyone’s request but I am giving a try. I am requesting you to please provide me a link of sample application form of Undergraduate MEXT Scholarship. My area of expertise is the scholarship for graduate students. I haven’t created any resources specifically for the undergraduate scholarship, including a sample application form. The sample application forms for the graduate scholarship are ones that I created myself. I’m not aware of any existing samples for the undergraduate scholarship. I’m sorry I wasn’t able to help, but I wish you good luck with your application! I am Avinash and I am in Second year of Diploma in Mechanical Engineering.I have small doubt regarding my eligibility for Undergraduate Cousres. Although I am fluent in English but I don’t have any certificate like TOFEL for that. Is it important to have these certificates to be eligible for MEXT Undergraduate Scholarship? I would recommend that you read the application guidelines on MEXT’s site. According to that document, there is no requirement to know English and you are not required to submit TOEFL scores. My name is Leo and I am a third year engineering student in England. I was thinking to apply for both Tokyo University and Tokyo Institute of Technology and was wondering if I can apply for MEXT via university recommendation from BOTH university? or could I only apply for one university in order to get nominated for MEXT? For the University-recommended MEXT scholarship, you can only be nominated by one university, but in practice, most universities will not accept you if you are applying to more than one. If more than one university nominates you, then you become ineligible and every other applicant nominated by both universities can also lose their scholarship. Because universities tend to submit their nominations around the same time (MEXT’s deadline), you might not have enough time after getting the notification from one university to withdraw from the other. In order to increase your own chances and avoid risking the scholarship for everyone else, I’d recommend that you choose just one. Thank you so much for your prompt reply, it was really helpful! Just one more quick question: my situation now is that I have already completed my application for Tokyo University (online application, no professor consent needed), and have just received the consent from one of the professors in Tokyo Tech yesterday, asking me to send out all the required document asap. So in your opinion, is it better for me to turn down Tokyo Tech and focus on Tokyo University only? or is it too rude to turn Tokyo Tech down? what you think is the best way? I was so puzzled about what to do at this stage, and it will be great if you could offer me some of your insight. I would recommend that you choose one or the other as soon as possible, as it’s only going to get harder to turn one down the further you get into the process. I can’t really offer advice on which one to choose. It would depend on where you were able to find a professor who was best suited to supervise your particular research interest. The name of the school is ultimately less important than your relationship with your advisor. Personally, I might lean toward Tokyo Tech if you already have a connection with a professor there, since that should give you a leg up through the application process, but in the end, the most important thing is your academic goals. I think I might still go with Tokyo University – only because my tutor here in England somehow has a relatively strong connection with one professor in Tokyo University, and i want to apply for his lab. Tokyo Tech is good as well, but the chance is not as good as it is for UTokyo (I hope). I will come back and let you know once I got any result. btw, the website is very informative, so keep it up! If you have the connection through your tutor, I agree, that probably gives you the strongest chance! Personal connections are a huge asset. please write MEXT Scholarship article for undergraduate level as early as possible. Is it necessary for undergraduate students to clear JLPT in order to be considered eligible for mext scholarship? I appreciate your enthusiasm, but please understand that I maintain this site out of my own pocket and only have so much time to spend working on it each day. So, it’s going to be a while before I can focus on the undergraduate scholarship. You do not need to have a JLPT score to be eligible for the undergraduate scholarship. Knowing Japanese would help, of course, but it isn’t required. Undergraduates go through a longer intensive language training program that is supposed to help you get up to speed for academic Japanese. Regarding the university recommendation MEXT scholarship, we are sorry that it cannot be applied by prospective graduate students. Instead, designated graduate schools will choose students with higher academic performance and recommend to the MEXT directly for now. In addition, in our university, the following graduate schools are eligible to recommend MEXT students. So am I not able to try for this Uni through university recommendation? Based on your email, it sounds like Waseda might not be conducting an open call for applications for the University-recommended MEXT scholarship this year. I have no supporting evidence, so please don’t treat this as if it is confirmed fact. But it looks like they will just select the top privately-funded applicants from the regular admissions process to recommend for the scholarship and that they are limiting places to the particular graduate schools you listed above. It you are determined to apply for university recommendation, I would suggest you try another university that is conducting an open call for applications! thank you very much for your reply. and all your articles here are very helpful thank you again. 1:is what i am thinking of doing(using first year results to apply for an undergraduate programme next year) acceptable. again thank you so much for your assistance..
You can’t assume that you were ineligible just because you didn’t get a reply. There could be other reasons as well, such as a missing document or not being among the top applicants. The problem with this process is that there’s no clear way to know. I do not have any direct expertise with the undergraduate scholarship. I mean to study that process in more detail once I have finished the guides and advice I am working on for the graduate scholarship, but that will take quite a while. Unfortunately, in the meantime, I do not want to give you the wrong information, so I can’t answer your first two questions. I have no any question right now. But I will ask you a lot of questions in the future.